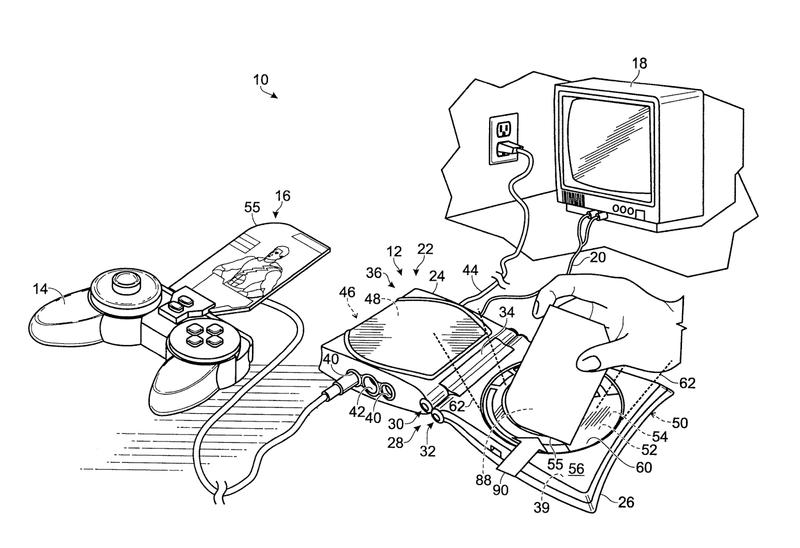 The ‘153 patent deals with video game systems with two forms of media. The first media contains information about a game and the second media stores information about a particular character. The patent describes a process of swiping cards or selecting characters from an external media source on which an individual character and that character’s attributes are stored. The media is updated with experience, skills, or rewards according to player success in using that character from that media source in a particular game. 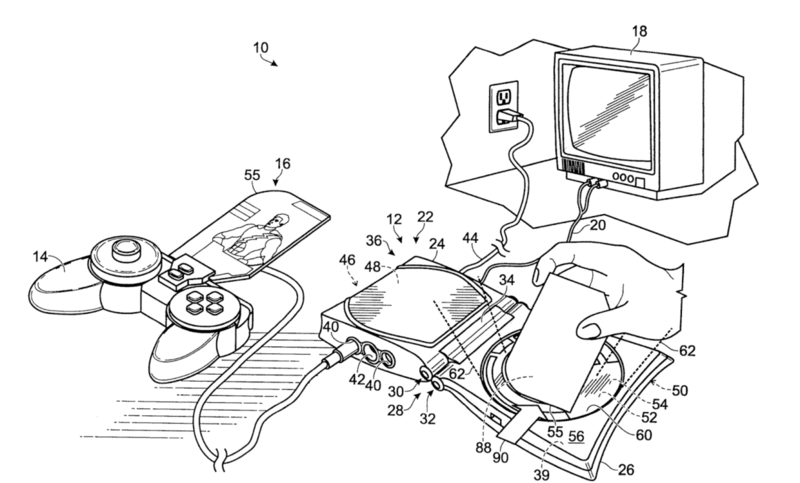 The patent allows for single or multi- player games that are competitive or cooperative. attributing a reward associated with the icon with the character being played by the first player.